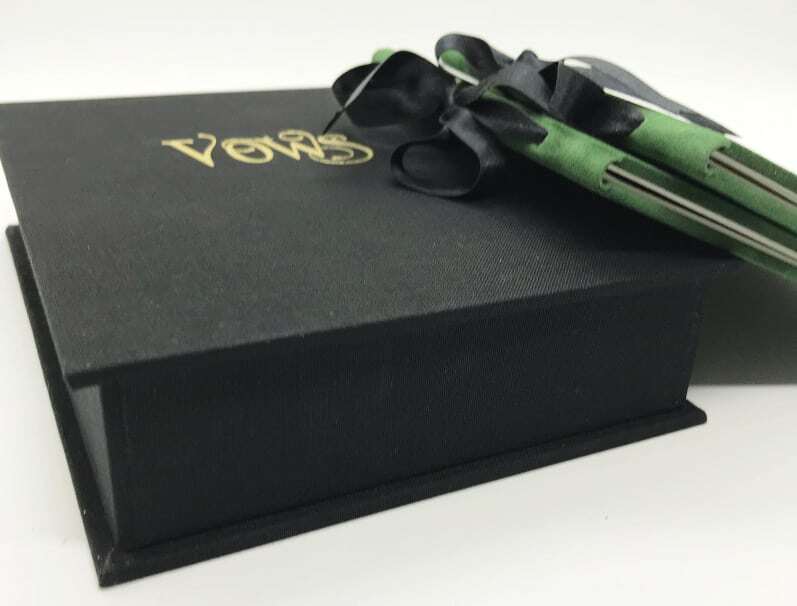 We were contacted by Stephanie P. of Puerto Rico to custom make a black linen book box and two emerald green vow booklets for her upcoming wedding. We hadn’t yet made a black book box, so we were looking forward to the task. The results were amazing! The black linen and gold foil “Vows” really popped together. 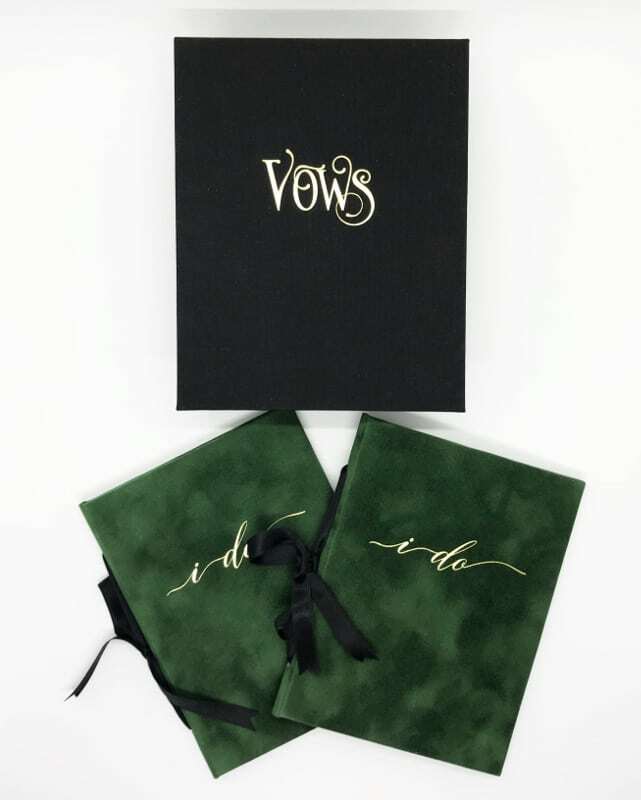 We tied the emerald green vow books with black silk ribbon and accented them with gold foil. We look forward to seeing Stephanie’s wedding photos in 2019! Stephanie left us a glowing review on WeddingWire, too! “I had been looking for hardcover vow books for a long time. I was really surprised when I found out that there are not much to choose from because of the hardcover. So when I found Wedding Story Writer I fell in love immediately. I know they may not be in the budget of some brides, but trust me, you will not regret ordering from them because you are truly receiving what you paid for. I loved every detail in my booklets, the packaging, the box, the cover fabric (which matches my ring box perfectly), the gold foil and the paper. I am really looking forward to passing it to future generations; I think it will be a sweet tradition to start. Thank you, Stephanie! xoxo I absolutely loved helping you choose your colors, and am grateful for brides like you.